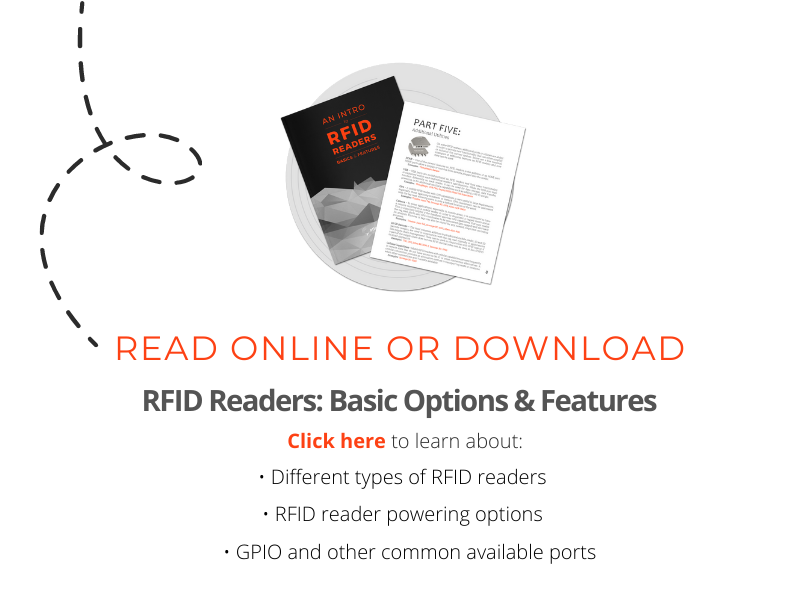 What is the difference between Integrated and Non-Integrated RFID Readers? An integrated reader combines an RFID reader and an RFID antenna into a single device so that no external antenna is required. If extra antennas are needed, an integrated reader can support up to one additional external RFID antenna (making two in total). Integrated RFID readers are great for a low-cost solution and ease of implementation. However, because integrated RFID readers can only support a maximum of two antennas, the coverage area for reading RFID tags is limited. Examples of integrated RFID readers include the Alien ALR-9650 and the ThingMagic Astra. A non-integrated reader does not have an RFID antenna built in. Rather, it supports multiple external antennas (from 2 to 32) depending on the reader model and detection field required. A solution requiring the use of a more traditional non-integrated reader will be relatively more expensive than one using integrated readers. However, the capability of having multiple antennas greatly increases the amount of area it can cover. Additionally, because there is no antenna built-in, non-integrated readers give the user the flexibility to choose which antenna combinations will work best — from low gain proximity antennas to high gain far-field antennas. The Impinj Speedway Revolution RFID Reader, ThingMagic M6, and Alien ALR-9900+ are a few examples of non-integrated RFID readers. If you have any questions or comments about integrated or traditional RFID readers, please post them below. « Which RFID Frequency is Right for Your Application?